This is a rectangular Vico Paraffin Oil porcelain sign. This particular Vico Paraffin Oil sign is orange and white with black and orange print. 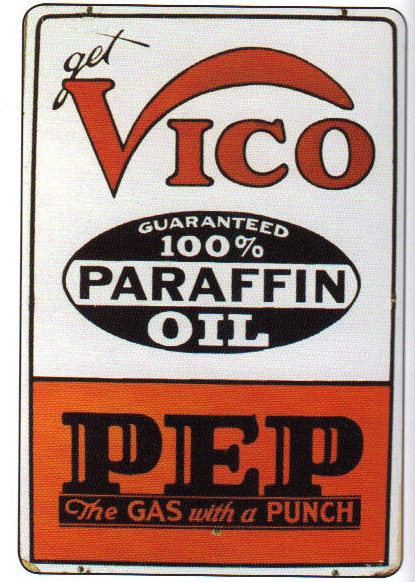 It reads, “Get Vico, Guaranteed 100% Paraffin Oil, PEP, The Gas With A Punch” and features a black and white oval in the center of the sign.